c are prepared to step up their pursuit of Atlético Madrid’s José María Giménez. According to ​Tuttosport, the Serie A champions are impressed by the 22-year old’s ability to play a number of different positions. Giménez can play as a full-back or defensive midfielder and Atletico claim he is a big part of Diego Simeone’s plans. However, the form of Stefan Savic and Diego Godín has meant that Gimenez is not a guaranteed starter in this Atletico Madrid side. Gimenez arrived in Madrid in 2014, joining from Uruguayan side Danubio. He would feature in every matchday squad during the run up to the Champions League Final in the 2015-16 season but Los Rojiblancos would lose to city rivals Real in the final. Gimenez has only made four appearances this season for an Atleti side that are unbeaten in La Liga through the opening nine games, but four draws mean they only sit in 3rd place. However, their Champions League form has been bitterly disappointing. 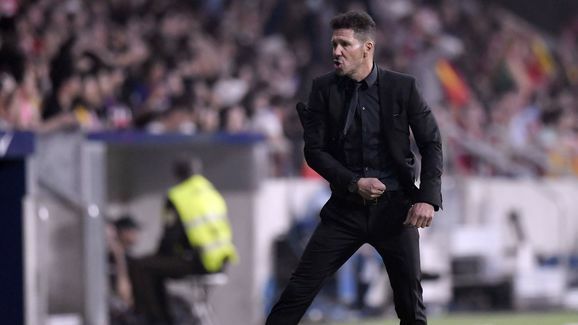 A home defeat to Chelsea was followed up with a 0-0 draw against Qarabag, meaning Atletico are in real trouble of failing to make the knockout stages for the first time since the 2009-10 season. Juventus were looking at signing Gimenez in the summer but they couldn’t agree a fee with the Spanish club. If the Uruguayan still struggles for regular first team football come the January transfer window then a move to Italy could well be on the cards.